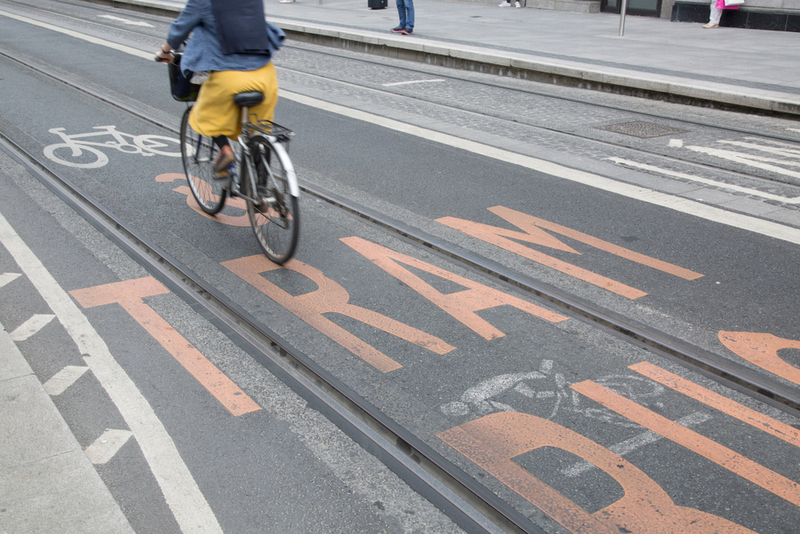 Rolled out in 2012, the smarter travel project ‘Hike It, Bike It, Like It’ has encouraged the local community of Drimnagh (a Dublin City suburb with more than 12 000 people) to actively acknowledge and adapt how they travel, encouraging more sustainable transport modes. It has been recognised nationally with two 2013 awards and internationally with the Energy Globe award. The project was developed after an extensive community consultation process carried out by Dublin City Council (DCC) and assisted by M.CO lab. A lack of place and identity for residents in Drimnagh was brought up, which resulted in the Integrated Area Plan (IAP) being developed – a collaborative framework and action plan to control the suburb’s future. The IAP highlighted the urgency to persuade people to travel more sustainably through environmental, infrastructural and behavioural changes. Strong community engagement was vital for conveying the ‘Hike It, Bike It, Like It’ slogan (which was developed by local school children to encourage walking and cycling), with the initiative reflecting a universal purpose between local authority, community stakeholders, the private sector and other major employers such as schools and the Children’s Hospital. A participatory approach was taken for the engagement strategy, promoting a locally-driven awareness-raising campaign to inspire local ownership and alter behaviour. The smarter travel project demonstrates the success of Dublin City Council and local communities collaborating and working in partnership towards shared goals. It also highlights the positive change that can occur with real commitment and investment of time, energy and creativity. Due to the success in Drimnagh, DCC has since launched the citywide brand ‘Hike It, Bike It, Like It, Dubin!’. Owen Keegan, DCC Chief Executive, stated “Dublin City Council is committed to working in partnership with communities across the city… to investing resources in this new way of engaging, communicating and promoting active travel”.